View the campaign videos, UA event photos, and coordinator resources. View the 2017 "The Heart of UA" campaign headquarters. View the 2016 "United We Thrive" campaign headquarters. United Way of West Alabama has 26 partner service agencies and covers Bibb, Fayette, Greene, Hale, Lamar, Marengo, Pickens, Sumter and Tuscaloosa counties. These agencies provide a variety of education, income-related, health and emergency-response programs to citizens throughout West Alabama. Learn about the United Way of West Alabama Partner Agencies. 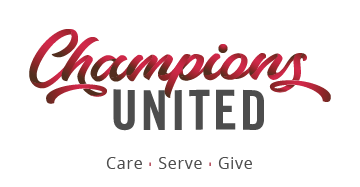 The Division of Community Affairs leads the coordinating efforts for the annual UA United Way Campaign with a structure that provides opportunities for UA colleges and administrative units to host the campaign each year.